The idea or concept of fear can be considered a form of suffering and it is debatably one the most debilitating within the ego family of forged emotions. There are different types of fear in modern life. There is primal fear which is a basic survival instinct that initiates a “Fight or Flight” response. This specific stimulus occurs from pain or a threat of danger. 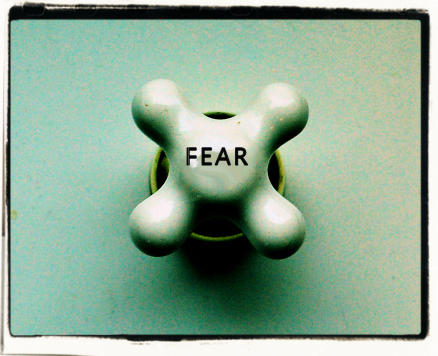 Fear is the ability to recognize a threat or danger and react instinctively to find safety. Yet, in our sometimes chaotic lives, the concept of fear has been watered down, muddled with ego and mentally misinterpreted. Yes, there are other kinds of fear born from social conditioning. Psychologists have noted that this type of social fear belongs to a smaller set of basic instinctual emotions which also includes anger, sadness and even joy. Fear is sometimes grouped or connected to the emotional state of anxiety. Yet, anxiety is different and typically occurs without any external threat. Coupled with our ego and a low-level of self-esteem, fear and anxiety is a disability. Sure there are things in life to be fearful of: Hungry bears while on a hike, shark frenzies while swimming or an avalanche careening toward your vacation chalet. These would be situations of “Fight or Flight” and as humans we have the instincts to fight our way to safety or run like hell to safety. Yet, in our sometimes crazy life, there are intimate fears of losing our jobs, fear of loneliness, fear of public speaking, fear of starting our own business – the common denominator to some degree would be the fear of failure. This type of response is socially learned and not instinctual. The concept of “Fight and Flight” is part of our nature. Societal fears like the dread of failure are based on a conditioned or a nurtured sense. Through conditioning and ego, from the approval or disapproval of others, there can be a level of anxiety or abrasiveness that is created and it can eat at you from the inside out. “Those who fear life are already three parts dead”. Social fears hold us back from true self-discovery. The concept of social fear keep us nice and cozy within our comfort zone but it does not allow us to venture out and evolve beyond that comfort zone. Our ego’s will continue to bury us in thoughts of the past and future with very little focus on what is happening now in the present. When we are laden down with social fears of what other people think or the risk of embarrassment or failure, how are we to find progress? 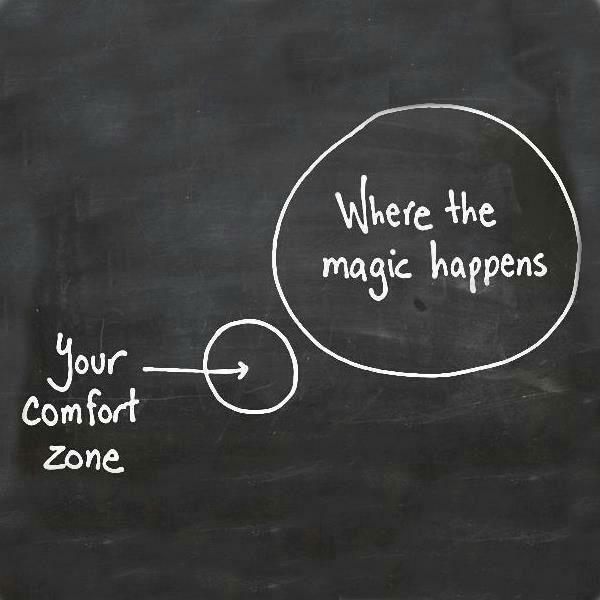 That comfort zone becomes this inner prison of poisoned thoughts married to trepidation and apprehension. Our goals will never be fully actualized when we live this way. We need to visualize ourselves being pushed out of the comfort zone like a seafaring boat pushing through the waves of the ocean away from the calm harbor it once called home. It is out on the ocean that true adventure and new opportunities arise on the waves of positive energy that surround us. Sure it is easy to write this all down in a blog and push the “PUBLISH” button, but to live by our words is much more powerful. Actions do speak louder than typed words. I do not think anyone is free from stress and anxiety completely and we all get butterflies in our stomach when we head into unchartered territory. This is a completely natural feeling. So embrace it instead of loathing it. Still, it is how you interpret the stress or challenges and how you act that truly defines the experience. Most social or workplace scenarios are dependent on how you react to stress and unseen occurrences. For each person it is different. Further, I truly think feeling nervous about something is a good thing. It means we are alive and aware. More than that, it means we are pushing ourselves to be better and more evolved. Being nervous is a good sign that things are progressing in your life and you are pushing yourself to the next level out of that comfort zone. Take a deep breath and remember such stresses and uncertainties are merely clouds floating by and your True Nature is the steadfast sky that is unfettered, unadulterated and indestructible. Everything will be fine, feeling nervous is good! Now go make a difference! Sometimes, I get this false pretense of being indestructible. It’s ok though because, I return to reality in a rather quick amount of time. My mind seems to sort out different fears, justifying whether they are valid fears. Even a valid fear has no permanent place as those are the fears that can be discarded dependent upon my action or reaction. Maybe the most dangerous fear is an unknown action or reaction to take with any stressful scenario. I don’t know what to do, and in a moment’s time……. In a moment’s time the fear has fully manifested, and it’s done. However, isn’t that the possible catalyst for more fears? IE Job loss brings with it a fear of not meeting financial obligations, and it possibly worsens as the mind tries to work through the anxiety of each bill. So, is it not the package of fears accompanying only the one that actually takes us from sometimes being able to cope? I truly believe all social fears are unnecessary – all ego driven. I know, easier said than done…. Fight or Flight is different. Fear of losing our job or fear and loathing of bills pilling up is the reality we all live. How we process the challenges will determine how skillfully we maneuver through such challenges. It is sort of like fearing death. Why fear something you cant control? At least with jobs or finances, we can center ourselves in the moment and make the best decision or course forward to eliminate the challenge at hand. When fear and anxiety is taken out of the equation (or at least limited) you have more opportunities to turn a challenge into a new beginning. From all challenges births evolution. I was outlining possible fears that I fortunately am not challenged by but rather speaking for the 3rd person who might be out there. During the past few weeks I have arrived at a different place. Everything is meant to be dealt with. Positive, and negative scenarios alike. I have arrived to a calmer place where it can be dealt with but no longer as positive or negative. Just that it is, and requires action. I believe I have better control simply because my mind moves toward, and better at embracing that which comes my way. Fear can only embrace my life if, my only action is to embrace fear, and dwell on it. Many employees have recently asked me why, I don’t care to punch out early when they ask who would like to go when were not busy. I tell them how much I enjoy being around them, and I make it my personal playground within the confines of doing business. I have decided that since it is necessary for me to work there is no reason not to enjoy it. The workplace is not somewhere I’m traveling from but, to….. The workplace has many challenging scenarios of which some do fear but, I deal with them, and that’s why I can enjoy my time at work. As for meditation, I’m drawing an evident timeline, and see how clear all of this is to me. On another subject, I was asked at work if it is okay to meditate with music. I told them there may be some that believe in a quiet meditation but, desired results are what’s important. I told them, their music choice should be stimulating for the calm mind but, not to concentrate on the music. At a loss for words, and the best explanation possible; To allow their mind to think without their help. 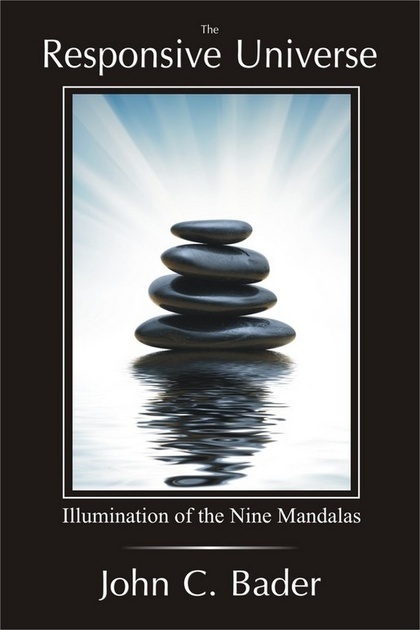 I also explained a little of mantras for meditation. I occasionally use conducive music for meditation – if it works – go with it! “I have arrived to a calmer place where it can be dealt with but no longer as positive or negative. Just that it is, and requires action.” Dave, this is a huge milestone here!